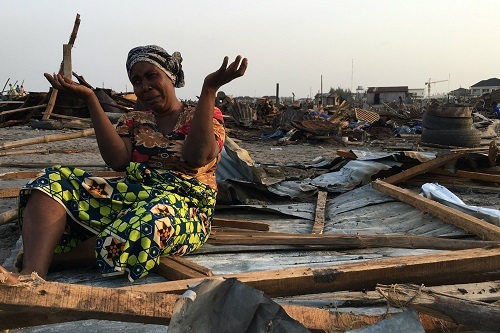 Nigerian authorities must halt a violent, unlawful campaign of demolitions and forced evictions of waterfront communities in Lagos State which has so far left more than 30,000 people homeless and 11 dead, human rights NGO Amnesty International stated. A new report, The Human Cost of a Megacity: Forced Evictions of the Urban Poor in Lagos, details repeated forced evictions of the Otodo-Gbame and Ilubirin communities carried out since March 2016 without any consultation, adequate notice, compensation or alternative housing being offered to those affected. Some evictees drowned as they fled police gunfire, while at least one was shot dead. “These ruthless forced evictions are just the most recent examples of a practice that has been going on in Nigeria for over a decade in complete defiance of international law,” said Osai Ojigho, Amnesty International Nigeria’s Country Director. “For the residents of these deprived communities, many of whom rely on their daily fish catch to make a living, the waterfront represents home, work and survival. Forced evictions mean they lose everything – their livelihoods, their possessions and in some cases their lives. Amnesty International spoke to 97 evicted people as part of its research, all of whom told a similar story of being made homeless and losing almost all their possessions. Between November 2016 and April 2017, Lagos state authorities forcibly and violently evicted more than 30,000 residents from the Otodo-Gbame community on the outskirts of Lagos city. In the first eviction, at midnight on 9 November, police and unidentified armed men chased out residents with gunfire and teargas, setting homes on fire as bulldozers demolished them. Panicked residents tried to run to safety amid the chaos, with eyewitnesses reporting that some drowned in the nearby lagoon as they ran from gunfire. Nine people are believed to have drowned during the eviction and another 15 remain unaccounted for. Of the 4,700 residents who remained in Otodo-Gbame after the eviction, some slept in canoes or out in the open, covering themselves with plastic sheets when it rained. Four months later, in March 2017, state security forces backed up by unidentified men armed with machetes, guns and axes forcibly evicted residents who had remained. When residents protested, they came under attack from police. One man, father of two Daniel Aya, was shot in the neck and killed. The forced evictions were carried out in direct violation of court orders issued on 7 November 2016 and 26 January 2017. In some cases, residents were evicted while they showed police a copy of the court order that was supposed to prevent the government from demolishing their homes. Meanwhile, 823 residents of the nearby Ilubirin community were forcibly evicted between 19 March 2016 and 22 April 2017. After being given just 12 days’ written notice of eviction, Lagos state government officials and dozens of police officers chased residents out of their homes, and demolished all the structures in the community using fire and wood cutting tools. Evictees subsequently returned to the area and rebuilt their structures, but these were demolished six months later with just two days’ oral notice and no consultation. The Lagos government’s explanations for these forced evictions have been repeatedly inconsistent. In November 2016, it denied any responsibility for the forced evictions and blamed them on a communal clash that resulted in fires which razed down the community. In March 2017, the government said its actions that month were taken to protect environmental health. In April 2017, the State Ministry of Justice said the government forcibly evicted thousands of Otodo-Gbame residents because it had reason to believe that “militants are hiding amongst the people in the Otodo-Gbame and are perfecting plans to attack the Lekki and Victoria Island environs using the settlement as a base”. “While the state may need to address security and environmental concerns, destroying people’s homes and forcibly evicting thousands who live along the Lagos waterfronts is a completely disproportionate response and is not the answer. Forced evictions are totally prohibited under international law and never justified,” said Osai Ojigho. All forced evictions in the Ilubirin and Otodo-Gbame communities occurred without genuine consultation with affected residents, adequate prior notice, provision of compensation or alternative housing – contrary to Nigeria’s international legal obligations. As a result, many of those evicted are homeless and have lost their livelihoods. “The Lagos government must set up a panel of inquiry to investigate the forced evictions and attacks at Ilubirin and Otodo-Gbame. All those responsible for criminal acts – including officers of the state – must be brought to justice through fair trials,” said Osai Ojigho. “There must be a moratorium on mass evictions until the Lagos state government has regulations in place that ensure evictions comply with international standards. 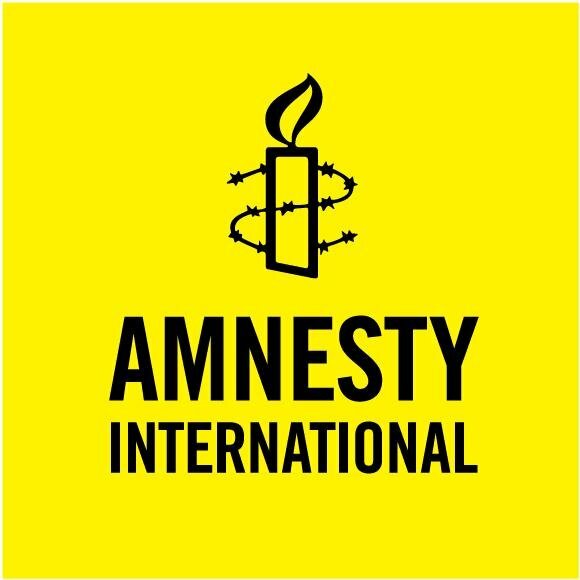 The findings of Amnesty International’s report are based on 18 field investigations by researchers, including interviews with 124 people and analysis of photos, videos and documents such as such as hospital records and court rulings. Eight meetings were held with government officials, while 17 officials from the Lagos state government and the Nigerian Police were interviewed. Forensic experts analyzed photos of corpses of evictees, bullet casings and teargas canisters found in the Otodo-Gbame community following the forced evictions. The report also documents at least three occasions between 9 November 2016 and 9 April 2017, when the residents of Otodo-Gbame were attacked by armed men who they identified as being from the neighbouring Ikate Elegushi community. At least 15 people sustained varying degrees of injuries, while one person died during these attacks. Also, on 16 February 2015, Ilubrin community was attacked by armed men, and two children went missing (bringing the total number of people reported missing by the two communities to 17). Amnesty International shared its findings with the Lagos state authorities but has received no response. Between 2000 and 2009, Nigerian authorities forcibly evicted over two million people. In February 2013, authorities in Lagos state forcibly evicted at least 9,000 people from Badia East to make way for a government building project. In September 2015, about 10,000 people were evicted from Badia West and the surviving parts of Badia East. Nigeria is a party to the International Covenant on Economic, Social and Cultural Rights (ICESCR) and other international and regional human rights treaties, which require it to realize the right to adequate housing, together with other economic and social rights, and to prevent and refrain from carrying out forced evictions.